Its chief characteristics are an entire surrender to the Lord, and a perfect trust in Him, resulting in victory over sin, and inward rest of soul; and it differs from the lower range of Christian experience in that it causes us to let the Lord carry our burdens and manage our affairs for us, instead of trying to do it ourselves. Most Christians are like a man who was toiling along the road, bending under a heavy burden, when a wagon overtook him, and the driver kindly offered to help him on his journey. He joyfully accepted the offer but when seated in the wagon, continued to bend beneath his burden, which he still kept on his shoulders. “Why do you not lay down your burden?” asked the kind-hearted driver. ” Oh!” replied the man, “I feel that it is almost too much to ask you to carry me, and I could not think of letting you carry my burden too.” And so Christians, who have given themselves into the care and keeping of the Lord Jesus, still continue to bend beneath the weight of their burdens, and often go weary and heavy-laden throughout the whole length of their journey. Hannah Whitall Smith’s The Christian’s Secret of a Happy Life is a long-standing best-seller, so it’s worth reading for historical interest if nothing else. As a wake-up call to remind you that the Christian life does not have to be glum, it can be a beneficial read. Smith writes in sweeping, general statements, so readers with many different presuppositions can find something familiar in The Christian’s Secret. And even as The Christian’s Secret was racking up its huge sales in the wild final decades of the nineteenth century, Hannah Whitall Smith had moved on to a new issue in her spirituality. Always given to flashes of revelation and inner illuminations, Smith became certain, in that Quakerish inner-light sort of way, that God would save everyone. She was eager to spread her newfound universalism, and her autobiographical The Unselfishness of God and How I Discovered It (1903) chronicled the story of her increasing delusion as she self-consciously re-imagined God in her own image. 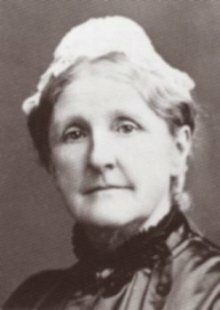 Smith’s later work is all cautionary tale, and her life was blighted by her husband’s misconduct and her own intransigence. But Smith wrote The Christian’s Secret of a Happy Life at an early point, before her idiosyncrasies reached escape velocity and took her off into weirdness. She achieved, in that book, a tone of voice that explains how such a deeply flawed book has nevertheless managed to do a great deal of good for some readers. Christians’ Secret channeled a powerful stream of the evangelical spirituality that flowed from the revivals of the nineteenth century. If it carried (as Warfield warned) much of what was wrong with the revival spirit, it also transmitted some of what was right.